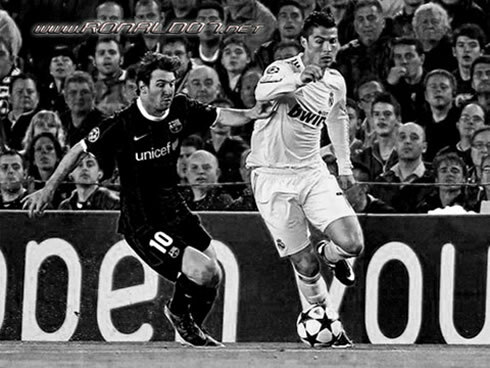 ﻿ Arrigo Sacchi: "Cristiano Ronaldo isn't as exciting as Lionel Messi"
04.11.2011 » Arrigo Sacchi: "Cristiano Ronaldo isn't as exciting as Lionel Messi"
One of the World's greatest football coaches, Arrigo Sacchi, granted an interview earlier this week to the Portuguese newspaper, "A Bola", and couldn't avoid to compare Real Madrid and Barcelona biggest stars, Cristiano Ronaldo and Lionel Messi respectively. Certainly one of the biggest legends among football coaches, the Italian Arrigo Sacchi, also known as the "Tactician Master", talked with a Portuguese journalist from newspaper "A Bola" and approached several hot topics related to the Real Madrid and Barcelona rivalry. Sacchi not only shared his view on the controversial debate about Cristiano Ronaldo and Messi, as he also described José Mourinho as a fantastic coach and as someone who can adapt to any situation. The next "El Clasico" will take place in roughly 5 weeks and if you're planning a trip to Spain, you can buy Real Madrid v Barcelona tickets online. Arrigo Sacchi had his most succesful years in his home country, during the late 80's and 90's. Sacchi coached AC Milan between 1987 and 1991, during a period where he won back-to-back European Cups in 1989 and 1990 (currently known as the "UEFA Champions League"). 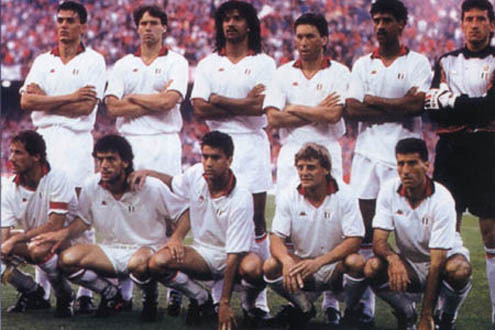 Back in those days, Sacchi coached what is still seen by many as one of the strongest teams in football history. The Italian side included the likes of Paolo Maldini, Costacurta, Baresi, Donadoni, Frank Rijkaard, Ruud Gullit, Carlo Ancelotti and Marco Van Basten and they have beaten Real Madrid by 5-0 at San Siro, in an European Cup semi-final, in 1989. Those who remember these legendary players, most likely agree that if caught on a good day, they were a team with enough talent and tactical rigor to put the current Real Madrid and Barcelona teams against the ropes. Arrigo Sacchi still has some emotional connections to Real Madrid, since he has been the club's Director of football between 2004 and 2005. 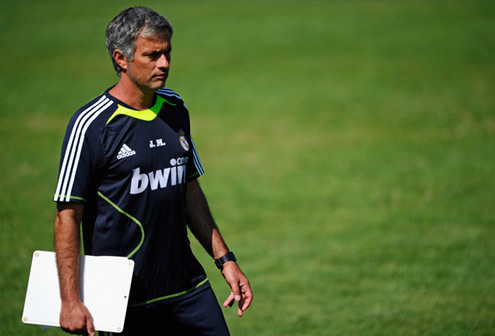 If there's someone who the Italian coach really admires at the Spanish club, that person is José Mourinho. Sacchi: "Mourinho is truly a fantastic coach with a great character, a unique straightforwardness and an insatiable thirst for learning. I'm pretty sure that he wouldn't have a problem to coach during the 80's, because he has the ability to adapt to any circumstances", noted the Italian manager. José Mourinho won everything he could during his golden season at Inter Milan, in the 2009-2010 campaign and not even Barcelona were able to stop the "Nerazzurri" seek for glory in the UEFA Champions League. Sacchi became overwhelmed with the Portuguese coach achievements: "It was a unique event. Never in Italy a team had been capable of winning the three most important competitions in a single season (La Liga, Italian Cup and the UEFA Champions League)." Arrigo Sacchi is currently 65 years old and being such an expert in football, he's definately well qualified for assessing Diego Maradona's talent and geniality on the field. The journalist decided to ask Sacchi to compare the current Argentinian legend Lionel Messi, with the player that many still consider as the best of all-time, Diego Armando Maradona. Sacchi: "That's a really difficult thing to do, if not impossible. Football, just as in life, is made of moments. 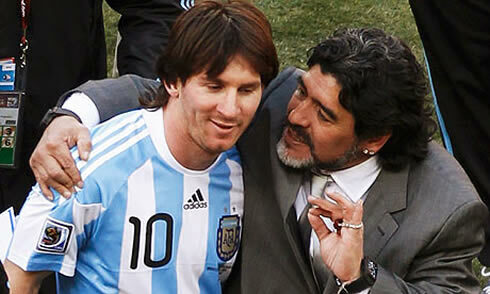 Back then, Maradona was by far the best among every other player, leaving no room for dispute", emphasized the Italian coach. Before closing the interview, Sacchi still had time to leave a few remarks on the dichotomy between Cristiano Ronaldo and Lionel Messi. Sacchi: "There's no doubts that Ronaldo is a tremendous player, but in my opinion, he didn't developped as much as Messi did." The Italian coach was then asked to explain his insights and so he added: "Maybe Ronaldo accommodated a bit in Madrid, or maybe he has lost some enthusiasm over the years. I really don't know... Lionel Messi is a diamond in its pure form. But let me stress that Cristiano Ronaldo is a terrific player, despite me not believing that he is as exciting as Lionel Messi." Cristiano Ronaldo and Lionel Messi will face each other next December, so if you're planning to buy tickets for Real Madrid vs Barcelona, or to any other match, you may very well visit TicketBis.